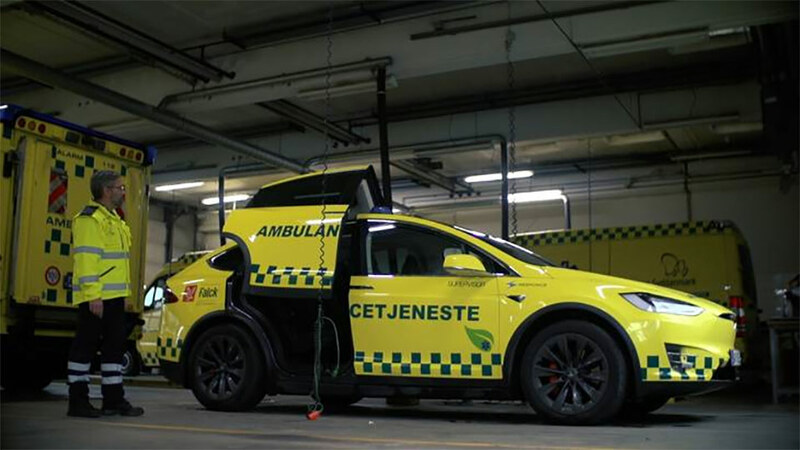 The quest for a sustainable future is starting to make its impact as electric vehicle adoption increases among government departments around the world — ‘Falck’, an emergency response company from Denmark re-builds a Tesla Model X as an ambulance. Falck CEO Jakob Riis said that the company is geared towards using as less fossil-fuel as possible for the good of both environment and the economy. 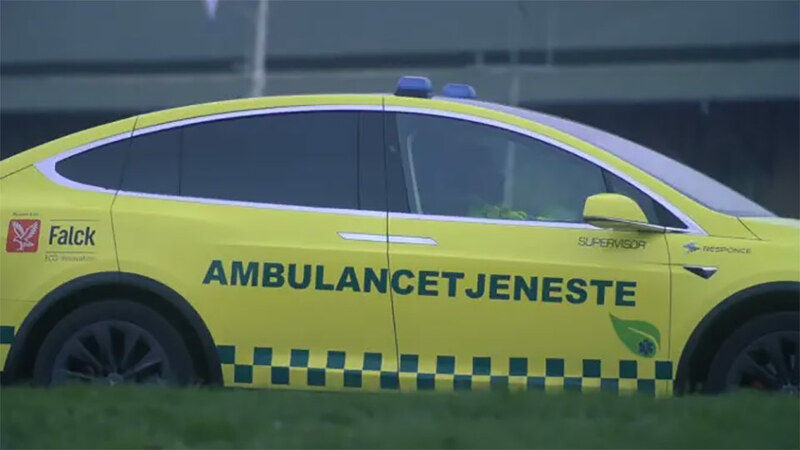 The first of these modified Model X ambulances will be seen at work in Copenhagen as the company states in a press release that they already have a contract with the city’s government. In Denmark, it is possible to check vehicle details online by using the number plate, the specific Tesla Model X converted to an ambulance by Falck is a Midnight Silver Metallic (Gray) P100D from May 2018 (thanks to u/knud for the tip). Of-course a P100D has a lot of energy packed into it, as we saw in a recent Tesla Model X test that you can survive in it with climate control on for more than 24 hours and that is in extremely cold temperatures. But the modified Tesla Model X from Falck does not utilize vehicle’s battery pack for emergency lights and sound, radio, medical equipment, and cooling/heating equipment — these functions are powered by a separate electrical power source that is charged after the emergency task is done. Also, a heating unit is separately installed in the vehicle that runs on ethanol to keep the vehicle warm on even on an extreme winter day without compromising on the electric vehicle’s range. Falck detailed their electrification plans in a press release today which hint that more electric vehicles and Teslas will be added to their fleet in the near and far future. Recently Basel City, Switzerland added a modified Tesla Model X to their police patrol fleet and the Japanese city of Fukuoka added several Nissan Leafs to the traffic police department — this is just the glimpse of the future of electric vehicles going mainstream, at least in Europe. A Tesla Model X P100D is a fast and powerful vehicle that can provide quick assistance in emergency situations, adding value to the overall emergency response fleet. Eventually, the rest of the world will have to follow these examples for the sake of the future of humanity.